Ultrasound technology is most often a full-time job. 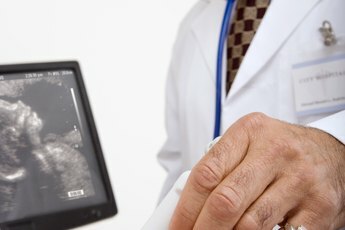 Mention an ultrasound technician -- also called a diagnostic medical sonographer -- and people conjure up ideas of prenatal visits, scans of mommy's tummy and pictures of the baby growing inside the womb. 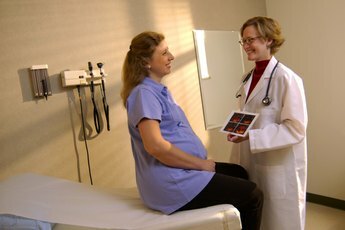 It's true obstetrics is a large career field for sonographers. 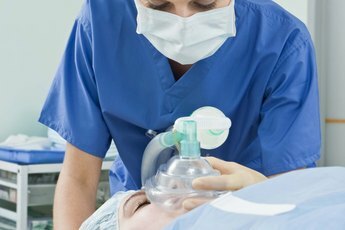 Yet, this advanced, non-invasive form of medical technology is becoming increasingly useful in a variety of diagnostic settings. Because of this, the Bureau of Labor Statistics expects job opportunities for ultrasound technologists to grow by 44 percent through the year 2020, a growth rate that compares to an expected average growth of 14 percent for all U.S. jobs. An ultrasound technologist uses a machine called a sonographer to direct high-frequency sound waves into a patient's body, says the Bureau of Labor Statistics. When the waves bounce back, they create an image on the machine's screen that the sonographer then interprets. Being able to create pictures of a person's insides is useful in diagnosing areas like the musculoskeletal system, the nervous system, the abdomen and mammography. Sonography is even useful for analyzing the circulatory system. Sonographers in this field are called vascular ultrasound technicians, according to the Career Explorer webpage of Baker College in Michigan. 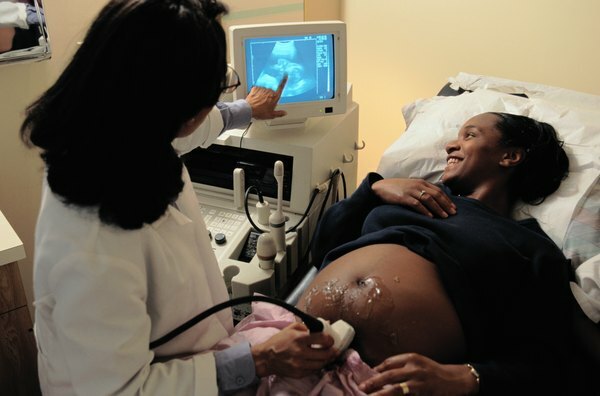 According to the Bureau of Labor Statistics, ultrasound technicians were earning an average of $64,380 a year in 2010. Of course, averages differed depending on the workplace. For instance, sonographers who worked in medical and diagnostic laboratories averaged $62,290 a year, while those who worked in private physicians' offices earned $64,560. Those in outpatient care centers earned $69,740 a year. Average pay also changes depending on the state a sonographer works in. A search of the Bureau of Labor Statistics' salary data shows that in 2010, the highest averages were in California, where sonographers were earning $81,750 a year. In Oregon the average was $80,190 a year and in Massachusetts, it was $79,650 a year. Other states that averaged over $78,000 a year for this career were Hawaii, Connecticut, Colorado and Washington. It must be noted that the cost of living is also higher in areas where salaries exceed the national average. In 2010, the lowest state average salary for sonographers was in Puerto Rico, where the average was $25,660 a year, says the Bureau of Labor Statistics. In Alabama that year, the average was $49,910 a year and in South Dakota the average was $52,600 a year. Other states that averaged under $55,000 a year were Mississippi and West Virginia. Again, the cost of living in these areas are considerably lower than in high-paying states.